I teach because it gives me great joy to help a student explore and expand students' musical knowledge and ability. Students not only learn how to sing, but they learn how to present themselves in front of people, appreciation of different styles of music, greater confidence and poise. They also experience the deep satisfaction of having achieved goals through study, practice and hard work. An outstanding member of the Northwest Musical community for over 20 years, Thomas received her Masters’ Degree in Vocal Performance from the University of Washington where she studied with renowned Wagnerian soprano, Jane Eaglen. In addition to her private vocal studio, Regina’s teaching experience includes voice faculty at the Washington Academy of the Performing Arts, a private conservatory style High School in Redmond, Washington. 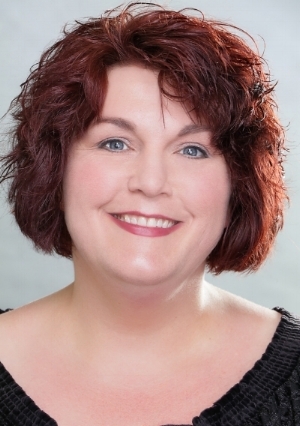 She is also a member of the Seattle Opera Guild Training Grant Selection Committee Chair. Currently serving on the Boards of Trustees of both the Ladies Musical Club of Seattle (Trustee of Public Concerts) and the Seattle Opera Guild (VP of Education), she also directs the Ladies Musical Club Opera program and is the Artistic Director of Puget Sound Concert Opera. Regina has performed with a variety of companies including Kitsap Opera, Willamette Concert Opera, Bellevue Opera, Puget Sound Concert Opera, Seattle Opera and the Seattle Opera Guild. She is currently Seattle Opera Guild’s VP of Education and Artistic Director of Puget Sound Concert Opera. Most recently seen as Filipyevna (Eugene Onegin) with Tacoma Opera and Wally (La Wally) with Puget Sound Concert Opera, other opera and musical theater roles include Tosca, Mother Abbess (The Sound of Music), The Mother (Amahl and the Night Visitors), The Divas (Pinchpenny Phantom of the Opera), Shy (The Best Little Whorehouse in Texas), Suor Angelica, Tosca, Contessa Almaviva (Le Nozze di Figaro), Marguerite (Faust), Lady MacBeth(MacBeth), Maddalena (Andrea Chenier), The Mother (Hansel and Gretel) and Judith (Duke Bluebeard’s Castle). Recital work includes Schumann’s Frauenleibe und leben, Elgar’s Sea pictures and Wagner’s Wesendonck lieder. In concert, she has performed soprano solos from Beethoven’s 9th Symphony, Ein Deutches Requiem and Fauré Requiem as well as Luciano Berio’s Folk Songs arranged for voice and chamber ensemble.